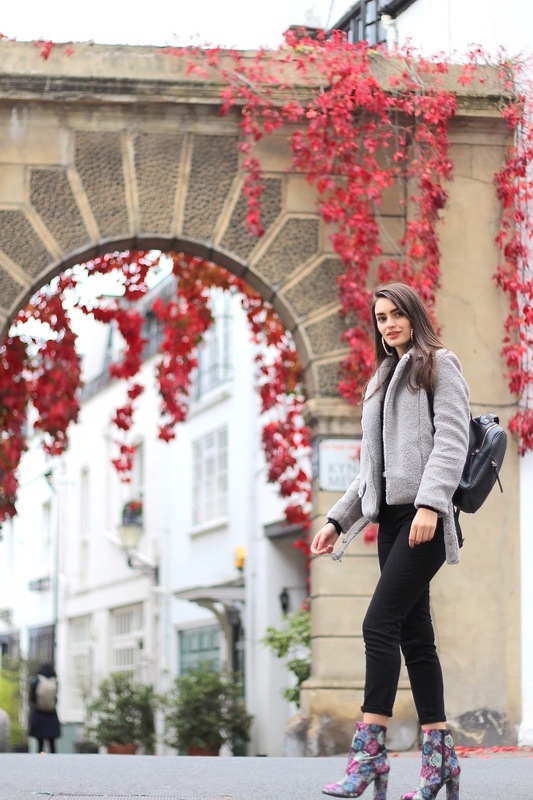 Where Is Every Blogger Shooting This Autumn? It's none other than Kynance Mews; I had seen Kynance Mews popping up a few times on Instagram and I just knew I had to make the most of being in London and pay it a little visit! When Faith and I went to shoot there, we noticed someone in the arch and instantly assumed it was a blogger as it's such a blogger favourite at the moment. As we got closer we realised it was Rosie from The Londoner which was amazing! It's always incredible to see other bloggers shoot especially when it's other girls that I really aspire to, Rosie has immaculate photography so we just stared (which was probably quite distracting, oops!) Luckily, she knew exactly why we were lurking around and as soon as she finished her shoot we took our spot. 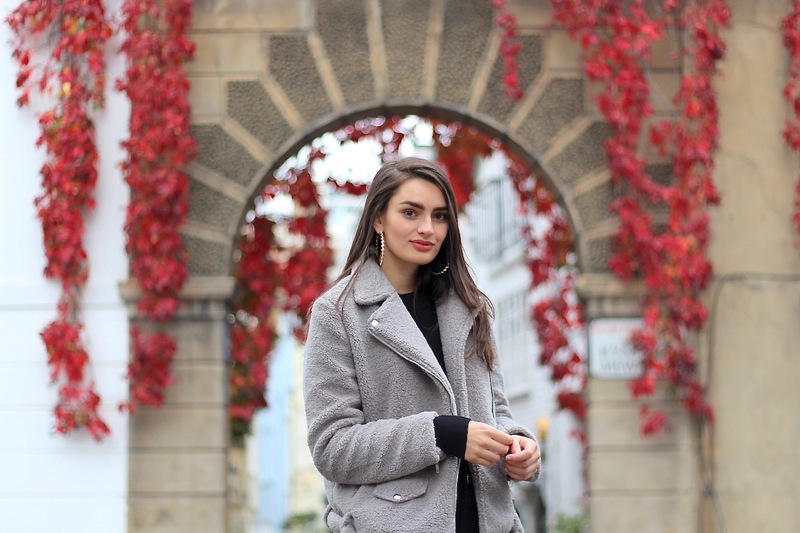 These photos make me want to explore so much more of London, especially during Autumn, the gorgeous autumnal leaves make the perfect backdrop. This outfit is super easy, the classic all black ensemble. 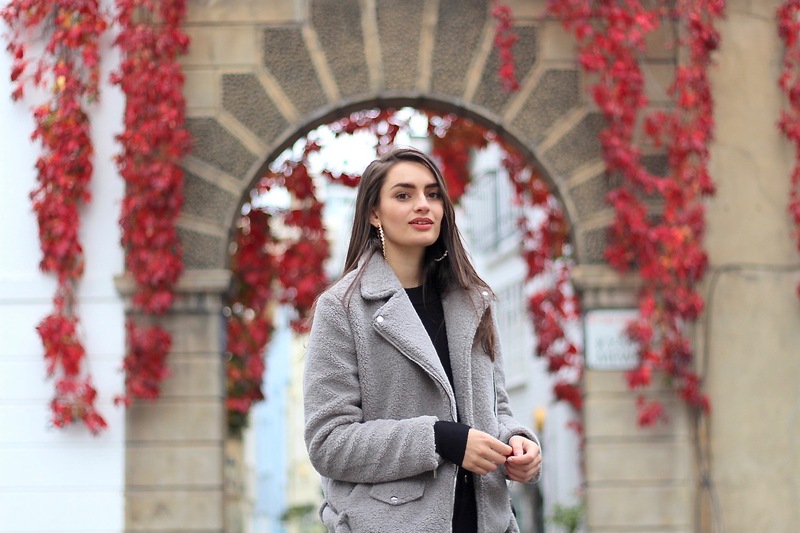 I went for a black crew neck top and Farleigh jeans for the basis of my outfit, added my shearling jacket from Missguided, which I just can't get enough of recently - it's the dream! And the best bit? 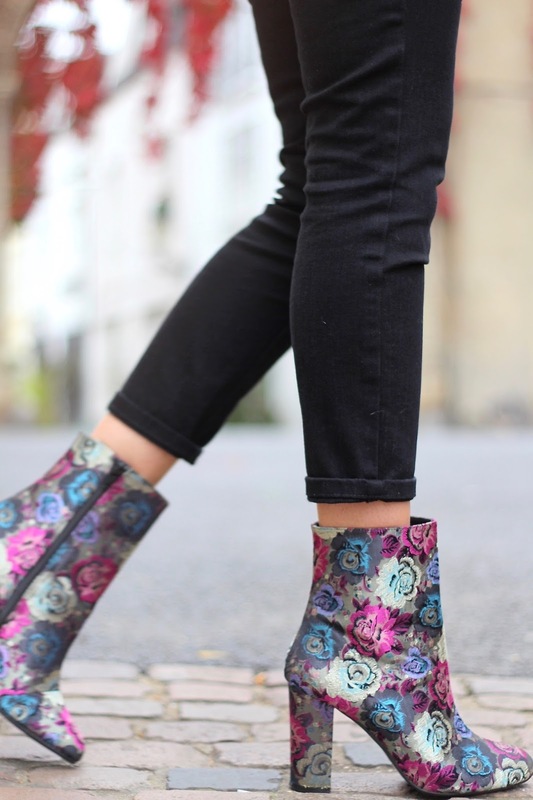 These amazing floral boots! I've had my eye on these ever since I saw them at the Dune press day, I just knew I needed to have them. I love experimenting with ankle boots, most people have said they like these boots but wouldn't actually wear them (a backhanded compliment perhaps?) but I love them so much! 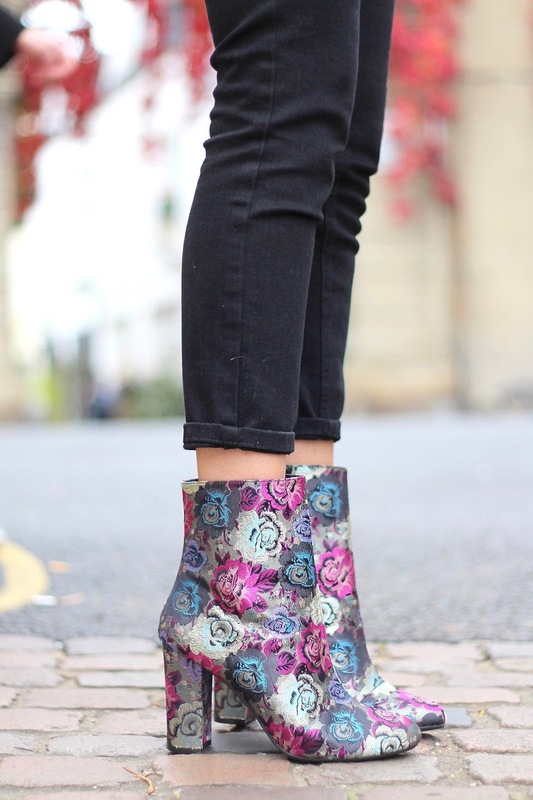 They're definitely a statement boot and I bloody love them! It really is the perfect autumn spot for shoots. I am in love and wish I could visit as well.